Solo Travel was incorporated in 1992 as a totally owned company of Murdock Travel Management. 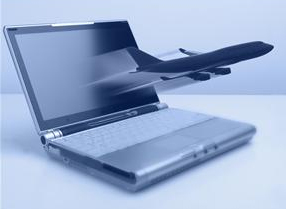 The concept of Solo was to enable Independent Contractors to have access to a reservation system in their homes, develop their own business clientele, and sell travel products at competitive prices. Murdock Travel management was incorporated in 1958 and was a dominant travel agency in the Western United States for more than 42 years. On April 3 2000, Murdock Travel and Morris Travel merged to become Morris Murdock Travel. The focus of this new company is leisure travel. The mission of Morris Murdock focuses on fulfilling a client’s travel needs and dreams through quality products and competitive prices while satisfying the needs of the client. 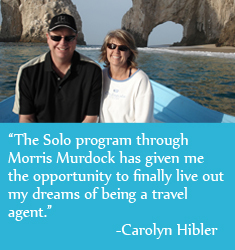 Morris Murdock/Solo Travel Management has the resources and experience to assist our Independent Travel Consultants in becoming professional travel agents to their clients. Help desk assistance with day-to-day operations builds a superior level of service that supports business growth and provides savings opportunities.